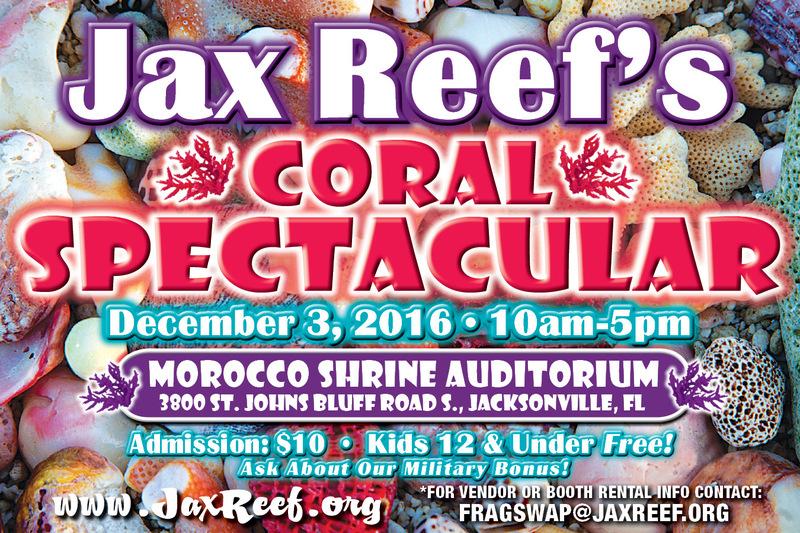 Our annual Jax Reef’s Holiday Reef Conference will take place on December 3rd, 2016. 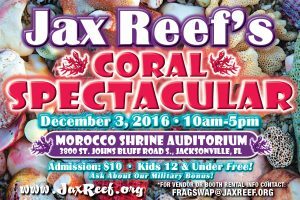 Our goal is to raise enough money to pay for the venue, to purchase the equipment the club needs for use by the members and to support the organizations we donate to such as The Coral Reef Foundation, M.A.S.N.A. and PIJAC.